Prime Minister Narendra Modi was conferred with Russia’s highest civilian award- the ‘Order of Saint Andrew the Apostle’ by the Russian Embassy today (Friday, April 12). 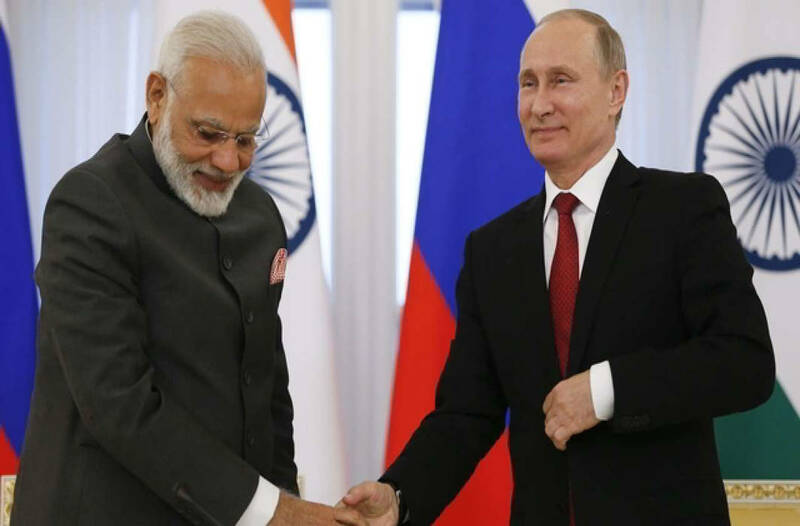 “On April 12, 2019, Indian PM Narendra Modi was decorated with Order of Saint Andrew the Apostle – highest state decoration of Russia – for exceptional services in promoting special and privileged strategic partnership between Russian and India,” the Russian embassy said in a statement. Earlier this month, PM Modi was conferred with the Zayed Medal by the United Arab Emirates – the Gulf country’s highest decoration – for boosting the relations between the two countries. “We have historical and comprehensive strategic ties with India, reinforced by the pivotal role of my dear friend, Prime Minister Narendra Modi, who gave these relations a big boost. In appreciation of his efforts, the UAE President grants him the Zayed Medal,” the Crown Prince of Abu Dhabi, Mohammed Bin Zayed Al Nahyan, had said on Twitter. Earlier, PM Modi was conferred with the Philip Kotler Presidential Award in January in recognition of his outstanding leadership. In October last year, PM Modi was awarded the Seoul Peace Prize in recognition of his contribution to the growth of Indian and world economies. The award citation credited what came to be termed as ‘Modinomics’ for bringing down social and economic disparity between the rich and the poor.